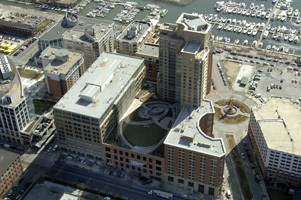 HARBOR EAST (PARCEL B) – CitiRoof Inc.
▪49,000 Square Feet Of Modified Styrene Butadiene Styrene Bitument Roofing. ▪4,500 Square Feet Metal Wall Panels. ▪3,800 Square Feet Metal Roof Panels.